Are you ready to step up your health, relieve some stress and win a meal at Beefsteak or a new Apple Watch? 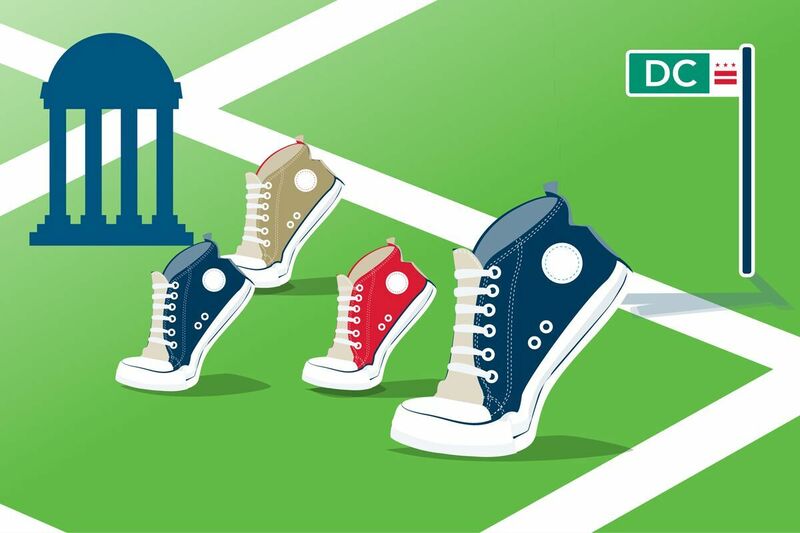 From October 16th through the 26th, join GW students, faculty and staff to face off in a challenge to crown our new steps champion. We know that exercise is good for our health, and studies show that walking not only boosts energy, but also relieves stress. So, we are challenging you to #StepItUpGW and participate in the GW Steps Challenge. Registration ends October 15th, 2017, at 11:59PM and the competition starts October 16th. Winners will be announced on Twitter @GWTweets and on Facebook at the George Washington University on October 30, 2017. Across the University, all departments and schools will compete against each other in the team challenge to win a Beefsteak lunch. The team with the highest cumulative step average wins. So, the more steps you have each day, the more you can help boost your team’s average. You must participate in the contest to be eligible to win. Not only can you compete with your team, but as an individual, you can try to achieve a higher step count than President and Mrs. LeBlanc. For each day that you get more steps than their average step count, you will receive one entry into a raffle to win an Apple Watch (or similar device). For example, if you beat their average step count for all 11 days of the challenge, you will receive 11 entries into the raffle. You will automatically be entered into the Chase Mode challenge when joining a team using the registration instructions below. You can download the Stridekick app from the Apple App Store/Google Play Store or use the mobile-friendly site to access your profile and get started. On your Stridekick dashboard, you can check your team stats, follow the scoreboard, and encourage your friends, as well as keep up with President and Mrs. LeBlanc’s step count average. Click here to find and select your team. Students should join their school. Sign-in to or sign-up for your Stridekick account by pressing "Join." Follow the on-screen instructions to complete setup. Once you are on a team, you will also automatically be entered into the Chase challenge as an individual. For a full list of supported devices, click here. Criteria for Winning - You must have a Stridekick account and participate in the challenge by registering before the registration deadline to be eligible for either of the prizes. Read the official rules here. Tracking Device Account - Make sure to create an account for your tracking device in addition to the Stridekick account. You will need your tracking device account information to create a Stridekick account. Only One Tracking Device per Participant - You can only have one tracking device connected to a Stridekick account at a time. Only One Stridekick Account per Participant - You can only have one Stridekick account with the same device. Otherwise, sync errors may occur. Switching Accounts - If you need to switch the device to another account, please visit the Stridekick portal and click the blue bubble in the bottom right hand corner of the screen for assistance from Stridekick’s support team. 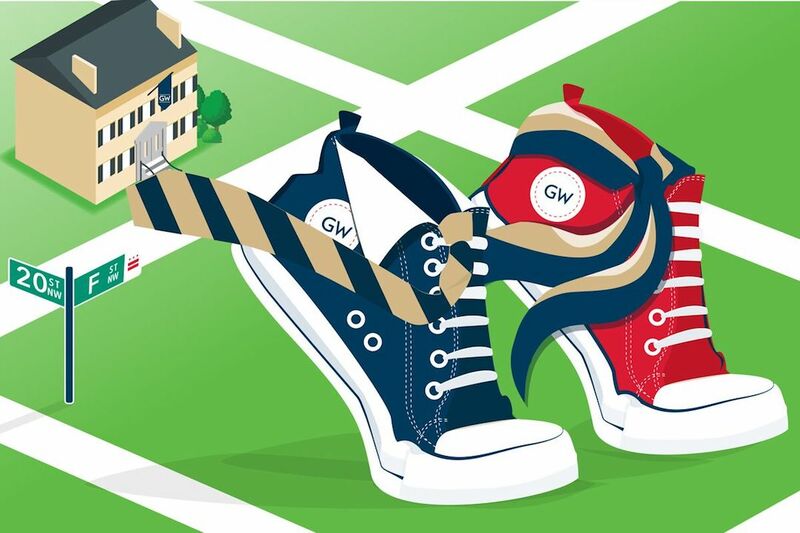 Joining the Challenge Late - If you join the GW Steps Challenge after the start date and time on October 16th, your steps will still be accounted for as long as you have been syncing and capturing steps on your device. You can still participate, but will be ineligible to win any prizes. Other Questions - Have an issue with your device or Stridekick account? Check out the Help Center or contact support by clicking on the question mark [?] on the bottom right side of your Stridekick dashboard.